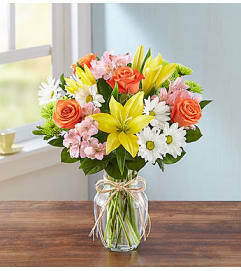 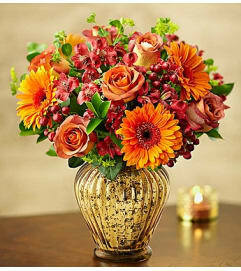 When our romantic bouquet arrives at the door, it will be pure excitement! 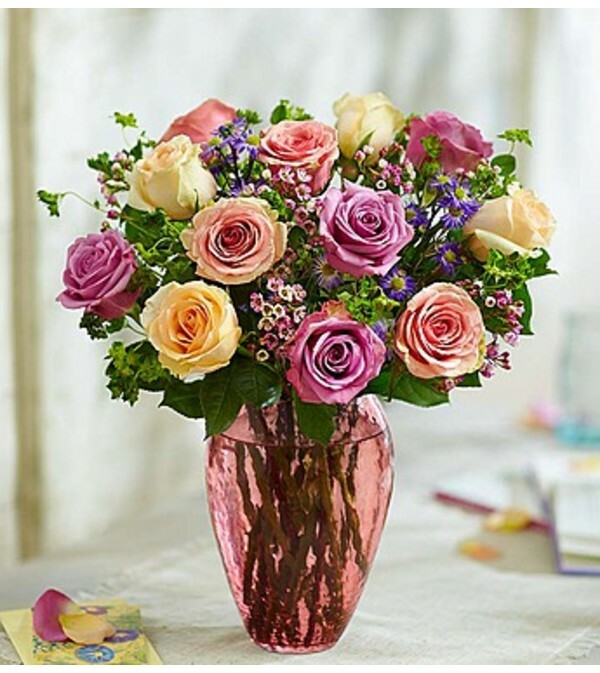 Premium long stem roses—in pretty pastel shades of pink, peach and lavender—are gathered by our expert florists into a luxurious arrangement. Set in a striking pink textured vase, it’s a sweet and colorful gift to surprise your favorite rose lover.